Ramform Titan - This Is The Widest Ship In The World! 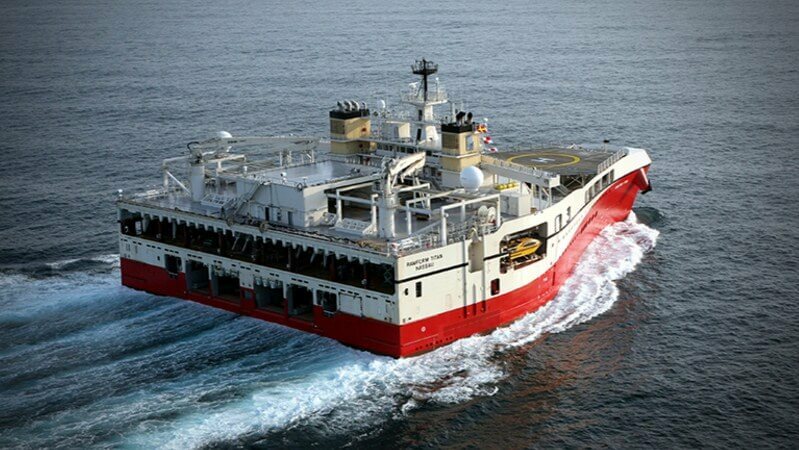 The Ramform Titan launched in 2013,is a new class of seismic ship that is easily the most powerful and efficient in the world. Three variable pitch propellers provide 1.8 Megawatts of power, more than sufficient to tow her enormous spread of dual-sensor recording equipment. The propulsion system permits full operations with just two propellers, and just one of the fully-separated, dual engine rooms. Together these enable faster deployment and recovery, with increased flexibility and safety, which make it possible to fully utilize the operational weather window. Ramform-Titan has 24 streamer reels, 16 abreast with a further 8 in a second row. The back deck layout is augmented by six independent source array handling booms. This seismic ship is also the widest ship ever built, so wide that it looks like a floating triangle. Polaris Slingshot blasting through San Diego!!! Will Batmobile help Batman with picking up girls? Bounty Hunter 2, a unique convertible semi Peterbilt!